Hi everyone! 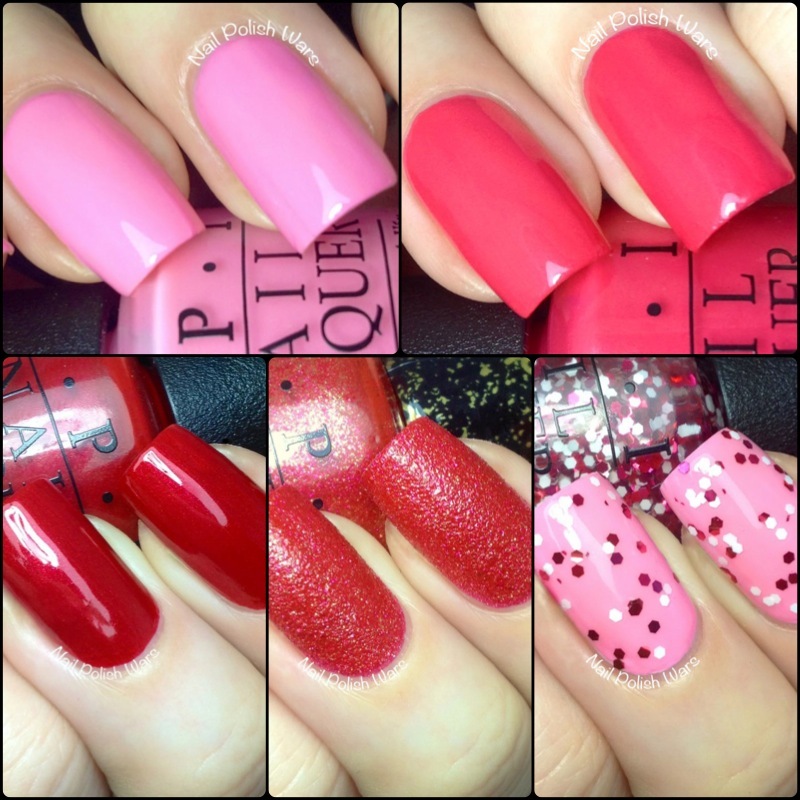 I'm so excited to show you the new Couture de Minnie Collection by OPI! This pop of bubblegum pink is totally fabulous! 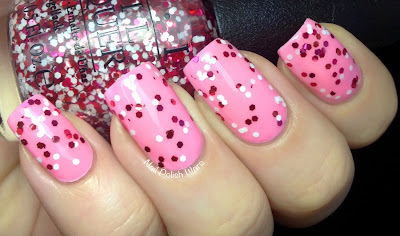 Chic from Ears to Tail is a bubblegum pink creme with a very subtle shimmer. The formula was was smooth, but it a bit on the thin side. I really love this particular shade of pink. It is so sweet and feminine. Shown is three coats of Chic from Ears to Tail. This fantastic fuchsia is at the top of my shopping list. 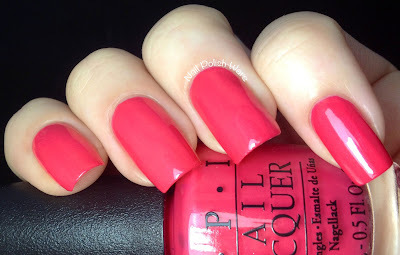 A Definite Moust-Have is a bright fuchsia creme with a strong coral undertone and a subtle shimmer. The formula was very rich and easy to apply. I am absolutely crazy about this one. 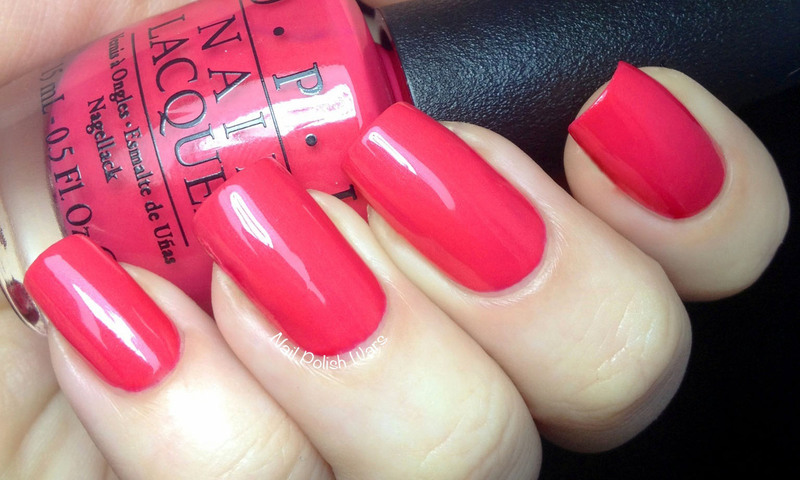 It is such a perfect summer shade. Shown is two coats of A Definite Moust-Have. Catch this crimson by the toe! Innie Minnie Mightie Bow is a deep cherry red creme with a subtle shimmer. The formula was smooth and easy to apply. 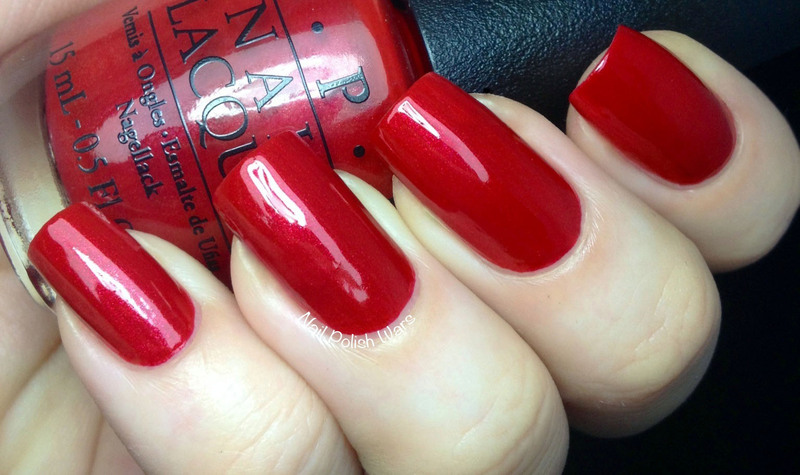 This is probably my favorite kind of red. It's such a classic color, and the shimmer really makes it pop. Shown is two coats of Innie Minnie Mightie Bow. The headline-making strawberry has sparkling texture. 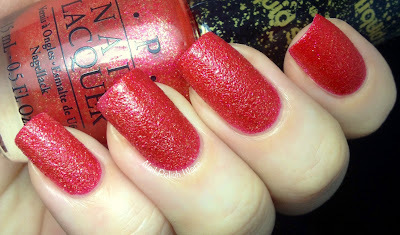 Magazine Cover Mouse is a cherry red texture coat with a gold shimmer. The formula was easy to apply. The more I try the textured finish polishes, the more I like them! Shown is two coats of Magazine Cover Mouse. This white and red glitter is the height of fashion. 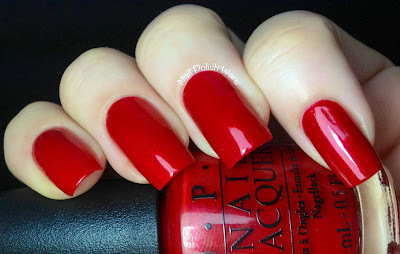 Minnie Style is a clear coat with white and red hexes. The glitter applied very easily. The red glitters here really flash much more of a fuchsia tone than red. 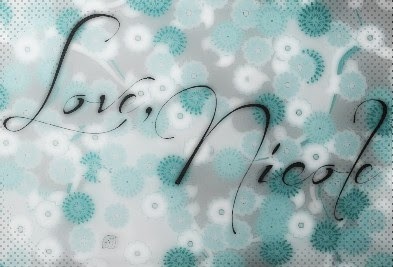 I would have been really happy to see a different shade of glitter with the white though. 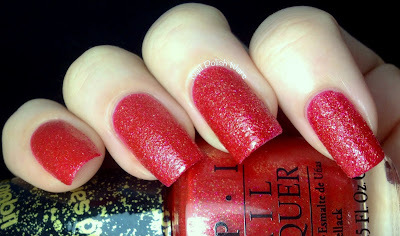 The red glitters seem to get lost when layered over any other color in this collection. It kind of limits you. Shown is one coat of Minnie Style over Chic from Ears to Tail. Overall I'm really pleased with this entire collection! I hope you enjoyed seeing it! This collection looks amazing. Great pics. Such a pretty collection! I really like the dark pink and crimson colors. I don't really like reds and pinks but a couple of these look really nice. I love the red and that glitter is super cute. I LOVE the first 3. I am def going to have to get them. great swatches! isn't that red the greatest?